3) that there are no well-designed scientific studies that support FiveFingers claims. The second case made similar allegations. While there was plenty of debate on forums and blogs at the time the first suit was announced about the merits of the case with plenty of armchair expert opinion and wishful thinking from fan boys, which was largely uninformed or ill-informed. Even some lawyers pontificated that the case had no merit. In the first case above, Vibram recently filed to get the case dismissed. The judges ruling last week was to dismiss the motion and proceed to trial. In short, as alleged in the complaint, doubts about the health benefits of barefoot running—and whether those benefits have any grounding in science—are no secret. Vibram, in fact, actively involved itself in research, making it unlikely the company was ignorant of the status of scientific knowledge. To the extent Vibram nevertheless made misleading statements about the health benefits of FiveFingers or the scientific support for those benefits, the complaint allows for the reasonable inference that Vibram did so knowingly. Obviously the judge, when presented with arguments from both sides considered the case had merit (a very strong merit!). Vibram made health claims for a product. If any health claims are made for a product do not have scientific evidence to back them up or do not eventuate to the user, then disgruntled users have every right to litigate. That is the USA legal system (which we could debate the actual merits of that later!). Despite all of the rhetoric and propaganda, there is no evidence that barefoot running is better for you. The more traditional running shoe companies generally do not make explicit health claims (ie reduced injury risk) for their shoes. They make claims about “impact reduction“, “facilitating motion” etc, but do not link those to any explicit health claims. If you don’t believe me, search their websites and look at all the running shoe adverts in the last few years in Runners World magazine. The only running shoe companies making health claims are the minimalist shoes manufacturers, leaving themselves wide open to this sort of litigation, not to mention a Federal Trade Commission investigation (just ask Skechers and Reebok about how many million dollars that they had to settle with them for the unsupported health claims that they made for their toning shoes). The conspiracy nutters have also been let loose on this one as well on some barefoot blogs and forums where I have seen a number of allegations that Nike or Asics are behind this. How do they expect to be taken seriously if they make up these sorts of silly allegations? The case has also exposed the deep divide in what I repeatably claim is the misuse, misrepresentation, misquoting and misinterpretation of the science by many who do not know how to properly read, critically appraise and understand scientific research. If you follow a number of blogs and running forum threads on this, many posters were quite adamant that the suit would get quickly thrown out due to all the evidence that supports barefoot running. I do not know of any research that supports barefoot running over traditional shoe running!¹ Obviously the judge agreed when it was put to him (that is unless you believe that Nike or Adidas or Asics paid him off ☺ ). As always, I go where the evidence takes me until convinced otherwise, and it looks as though the judge in this case is doing the same. POSTSCRIPT: I just reported on a study that showed increased bone stress injury in the group that transitioned to the Vibram FiveFingers. As the transition protocol followed in the study was taken directly from the Vibram FiveFingers website, this is not a good sign for Vibram in this class action. ¹I was going to do a separate blog post on the alleged evidence that shows barefoot running is better than shod running. However, it would be blank as there is no evidence. Thanks for the update. There has been a lack of recent information on this case and the fan boys have certainly been silent. Hopefully you can continue to keep us updated. Things are not looking good for Vibram. I’m a lawyer. I realize this comment is years late, but I only today discovered this website and have great regard for its cogent discussions of the science of running. 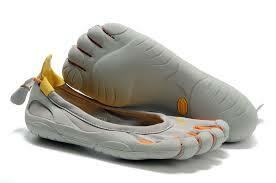 The discussion of the legal issues in the Vibram Fivefingers class action, not so much. And since I believe the Vibram Fivefingers class action case has since been cited as evidence against the benefits of barefoot running (that was certainly the implication of this post), and therefore may be still relevant in some way to inform the views of the author and others who read this blog, I want to correct a mistaken assumption presented in the post, namely, that the judge “heard from the plaintiffs and defendants attorneys on the evidence of the health gains on barefoot running….” Incorrect. The ruling had nothing whatsoever to do with the evidence. In fact, this was a technical motion that tests only whether the allegations, IF true, would amount to an actionable claim. The ruling was based solely on the pleadings, that is, the allegations, which, as the ruling itself indicates, must be accepted as if they were true for purposes of this kind of motion. The takeaway here should be NOT be that Vibram lost the motion after the judge heard the evidence. The evidence was never tested. I find it interesting that the burden of proof as to the health impact of footwear is placed only on the “barefoot” companies and not ALL shoe companies. People get injured wearing all kinds of shoes but you don’t see them suing companies. the Motion control shoes actively alter the position and movement of the foot and body, yet I don’t see them presenting evidence for it. Yes, people do get injured in all sorts of shoes. However, the manufacturers of the traditional running shoes never made health claims for their shoe (ie they never said if you used their shoe that you get less injuries). Vibram did make those claims. I think you may need to rethink your stance that other shoe companies do not claim to reduce injuries. In Nike’s 2017 financial report they specifically state that their shoes “reduce injury”. Look on page 57 under the section “Product Research, Design, and Development”. I agree with you that companies should not make unsubstantiated claims about the health benefits of their products, but I think you are wrong in specifically targeting “barefoot” companies. The belief that traditional running shoes are healthier for your feet is generally accepted as being true, aka cultural norms are not usually questioned. The barefoot approach, being different from that norm is then easily rejected. That statement from Nike does not come close to what Vibram were claiming. Nike said in that link: “we strive to produce products that help to enhance athletic performance, reduce injury…”. They not claiming that they do and that is not a health claim. Vibram claimed that you will get less injuries and that there was ample evidence to support that, when there was no evidence.